1. Eco-friendly and non-toxic material,high quality service. 2. Waterproof , tear proof ,non-yellow and UV resistance. 3. 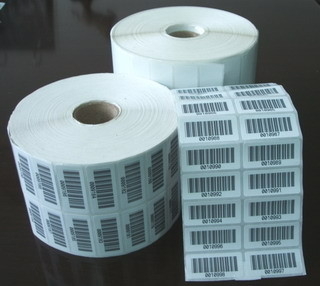 UL authorized label supplier. 4. Professional advice on artwork, material, process and packing. 7. Adhesive media Hotmelt adhesive, solvent adhensive, water, oil and etc. 12. Applications Cosmetic, food, electronics , toys, chemicals etc. 13. Delivery time within 10-15 days after the receipt of 50% deposit of the total payment. 15. Packaging White Box: 10 rolls /BOX, Our Carton: 25Boxes/CTN.Or on demand. 1. Laser printing layer with adhesion,high brightness. 2. Bright color uniformity,color with good fasteness. 3. With excellent ink adsorption properties. 4. Advanced technology in Mositure proof and good shrinkage. Mateiral: adhesive paper or vinyl ? Applied points:please advise where your stickers will be applied to , we will suggest proper material for you. Surface finishing:glossy or matt?Whether it needs to be waterproof on the surface. Packing:roll, sheet or individual sheet? Design for us to check the printing color and cutting shape.